"Facing a mountain in your life? Nowhere else to turn? Do you need a miracle? David Cerullo's powerful new book reveals the keys you need to unlock your miracle! Call now to sow a seed and receive this powerful book that teaches you step by step to receive the breakthroughs you need in your life! Call now! Sow your seed of $40. Operators are standing by." 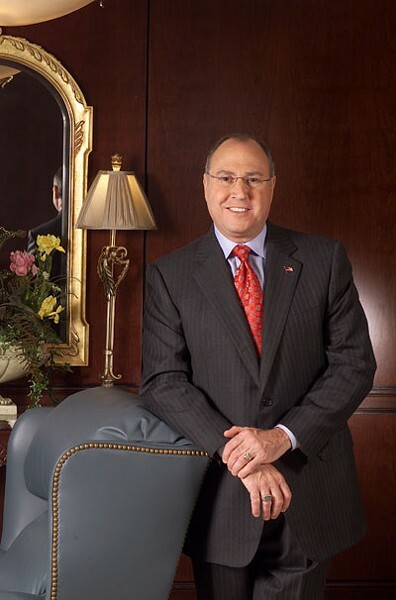 The above statement is an appeal from David Cerullo, chairman and CEO of Inspiration Networks, a Charlotte-based cable network that's available in 22 million U.S. households. The self-help message could be an appeal from some Oprah-approved self-help guru or a Tony Robbins knockoff; instead it's coming from a casually mannered, amiable man who discusses the Biblical story of King Jehoshaphat as the message crawls across the bottom of the TV screen. This message, that one who gives to God shall receive and that miracles can be obtained merely through faith, is an echo of "prosperity theology" -- an odd, if not sacrilegious, philosophy for many Christians, including local prosperity critic the Rev. Mike Macdonald. "Christ didn't die on the cross so that we could be financially prosperous," says Macdonald, pastor of Broad Street United Methodist Church. But it's theology as usual for Morris and David Cerullo, father and son Christian leaders who have been treated as everything from shameless huckster (Morris) to Christian visionary (David). Inspiration is one of the largest Christian media networks in the country, rivaled only by Pat Robertson's Christian Broadcasting Network and Paul and (the pink-bouffanted) Jan Crouch's Trinity Broadcasting Network. Yet many Charlotteans don't even know Inspiration exists. Within its studios, tucked in nondescript office buildings off Arrowood Road and elsewhere around Charlotte, the network produces and broadcasts Christian-themed reality shows, children's programming and the ministries of numerous Christian heavyweights. Some ministries, such as the one by Charlotte's own the Rev. Claude Alexander of University Park Baptist Church, represent mainline denominations. Many denominations and theologies are represented, including Catholicism, Judaism, mainline Protestantism and so-called prosperity preachers, whose ministries are of the name-it-and-claim-it school. That is, God will bless believers with what they seek as long as they have faith -- whether that is a healed body, an end to crushing debt or even a new Mercedes. It's these latter ministries where controversy begins. Charlotte is certainly no stranger to high-profile evangelists. The Rev. Billy Graham was born near here, and the Billy Graham Evangelistic Association maintains its headquarters off the parkway named for him. While not without critics, Graham is widely considered an esteemed, above-board elder statesman of evangelism. Charlotte's other famous man of God remains another story. When Jim Bakker was led in 1989 from a courtroom in handcuffs, the moment encapsulated tumultuous years of debate over the former Assemblies of God minister's operations. PTL ministries, personified by Bakker's boyish charisma and wife Tammy Faye Bakker's ostentatious fashion sense, had been among the most popular in the country. Nearly two decades later, Bakker lives in relative obscurity years after his release from prison, wife Tammy battles cancer, and son Jay Bakker leads a punkified Christian ministry that meets in various U.S. nightclubs, including the Milestone here in Charlotte. When PTL went belly up, Morris Cerullo, already an internationally known evangelist based in San Diego, bought the remnants of the network in bankruptcy court after fending off rivals' legal challenges. Ordained as an Assemblies of God minister, like Bakker, Cerullo boasts of an extraordinary life: He has written, for instance, that a heavenly messenger led him from the Jewish orphanage in which he was raised and that he has had personal audience with God. After Cerullo purchased the network, he made his son David its leader. 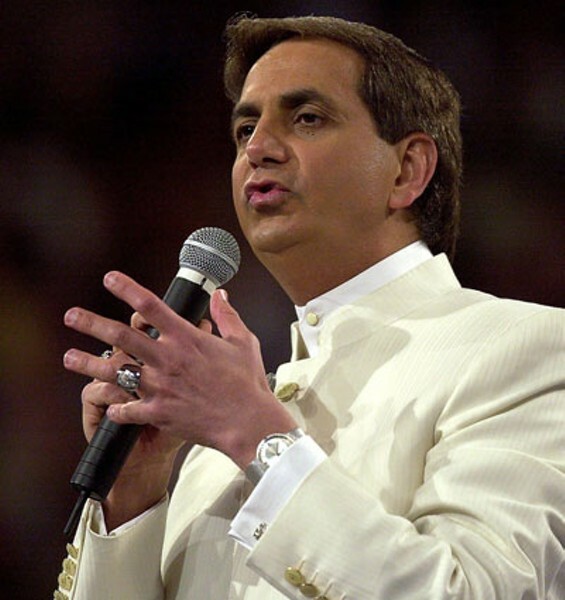 For several years, however, even as the organization drew a clear distinction between Inspiration and Morris Cerullo World Evangelism, the elder Cerullo ran operations from behind the scenes, claims Pete Evans of the Trinity Foundation, a Texas-based Christian watchdog group that's probably best known for its damning exposé of prosperity preacher Robert Tilton. Nearly two decades later, the remnants of the PTL infrastructure -- its buildings and studios, not to mention Heritage USA -- have been transformed into a quiet ministry that is preparing for great things. The organization is moving forth on a $98-million, 93-acre Christian mega-campus just across the South Carolina state line, off U.S. 521 in northern Lancaster County about five miles south of Ballantyne. The groundbreaking for the City of Light on Nov. 5 attracted big names, including South Carolina Gov. Mark Sanford and religious leaders such as Jerry Falwell, John Hagee, Benny Hinn and Pat Robertson. The company says the City of Light will allow Inspiration Networks to meet growing demands of its cable TV, new media and ministry outreach ventures. The organization's employee roster has grown to about 350 people. But the City of Light could accommodate as many as 1,500 workers, making Inspiration Networks one of the county's largest employers. Keith Tunnell, president of the Lancaster County Economic Development Corp., says the City of Light campus will "put Lancaster County on the map."